Government claims suicide bomber was responsible. ISTANBUL, Turkey (Morning Star News) – As government investigators sifted through the scene of Egypt’s worst bombing attack against Christians in the nation’s history, today the families of those who were slain mourned and buried their dead. Yesterday (Dec. 11) morning, at least 24 worshippers were killed and 49 wounded when an explosion ripped through the Church of St. Peter and St. Paul, also known as Al Boutrosya Chapel, during Mass in a suburb of Cairo. The chapel is next to the St. Mark’s Coptic Orthodox Cathedral, which is held by many as the spiritual center of the Coptic Orthodox Church. An initial statement by Egyptian President Abdel Fattah al-Sisi claimed that a suicide bomber had conducted the attack. The Interior Ministry later released a picture Mahmoud Shafiq Mohammed Mustafa, 22, whose nom de guerre was Abu Dajjana al-Kanani, an Islamist militant the government claimed carried out the attack. The ministry also released a photo of what it said was al-Kanani’s head. No group has taken responsibility for the bombing. As a result, most of the victims were either women in their 20s or children. Many of the slain children were infants. Photographs of the victims show major fragmentation wounds. Other victims were instantly reduced to little more than fragments covered by piles of bloody, tattered clothing. The death toll is expected to rise as others, who are now in the hospital, succumb to their wounds. Al Boutrosya Chapel is located in Abbysia, Cairo in a sprawling compound that houses the headquarters of the Coptic Orthodox Church. 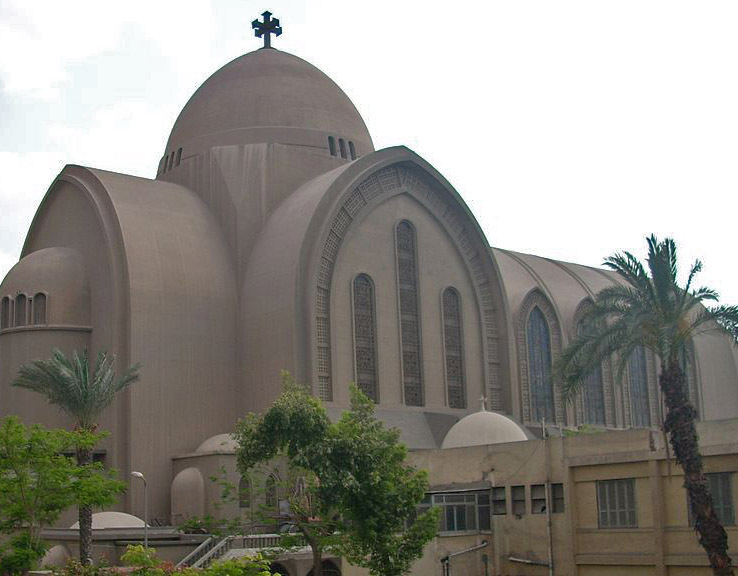 Besides St. Mark’s Coptic Orthodox Cathedral, it is also the home of a theological seminary. Many Copts at the scene of the bombing voiced their anger with government security officers tasked with guarding the church. It is common to see security officers posted at church buildings in Egypt surfing the Internet, otherwise goofing off or even sleeping on post. Because of this perceived dereliction of duty, the government decision to hold a state funeral for those killed was seen as hypocritical by the victims’ families, and several were incensed at being kept from those whom they had lost. During the funeral service led by Coptic Pope Tawadros II, with Sisi present, Tawadros II said that the attack on the Copts was an attack on all Egypt, “not just a disaster for the Church but a disaster for the whole nation.” But actions at the funeral, broadcast on national television, inflamed the families of the victims. While state officials and ranking members of the Coptic Orthodox Church were given passes to attend the service, passes for family members were very limited and had to be approved by both the government and the church. Family members were forcibly separated from the caskets by youth ushers known commonly as “scouts.” Others who protested against being kept from attending the funeral were arrested, according to local media reports. Sunday’s attack was the deadliest bombing against Christians in Egypt, but only by a small margin. On Jan. 1, 2011, just after midnight, 23 people were killed in a bombing at Saints Church in Alexandria that took place just after a New Year’s Eve service. Conflicting accounts claimed the Alexandria bombing was either the result of a suicide bomber or a car bomb placed at the entrance of the church building. No one has ever been apprehended for the incident. The government has all but closed the case. 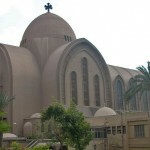 The incident, which started with a few dozen men pelting the mourners with stones, quickly escalated into a massive attack against Christians at St. Mark’s Coptic Orthodox Cathedral involving firearms, flash-bang grenades, tear gas, fire bombs and other improvised weapons, besides cars set ablaze. Police who were assigned to protect the complex did nothing to stop the attack. When back-up arrived, instead of fighting of the attackers, police joined the attack on the side of the rioters.